Questions regarding Teacher Appreciation can be directed to Teacher Appreciation Chair, Kerry Pulverman at teacherappreciation.gatespta@gmail.com. We would like to invite all students and parents to show extra gratitude to our teachers & staff during this week. Here is the List of Teacher's Favorite Things for ideas. We DEFINITELY need volunteers for our Teacher/Staff Luncheon that will take place on Friday, March 15th . Please make sure to sign up on Konstella. We put snacks and food out during the week as well as put together a luncheon for teachers and staff. This is heavily reliant on donations from our fabulous Gator families. Parents can show their appreciation by helping make a poster. Every year we have each class makes a poster to go on the outside of the teachers' classroom door/window. Sign ups will be posted on Konstella. All posters must go up on the brick walls or windows next to the teachers class. Please reach out to the other parent who also signed up to help with the poster for your teacher. You can reach out to them by sending them a personal message via Konstella. Pintrest is a great resource for poster ideas!! If you would like to have the students create something for the poster, please make sure to set that up with the teacher. 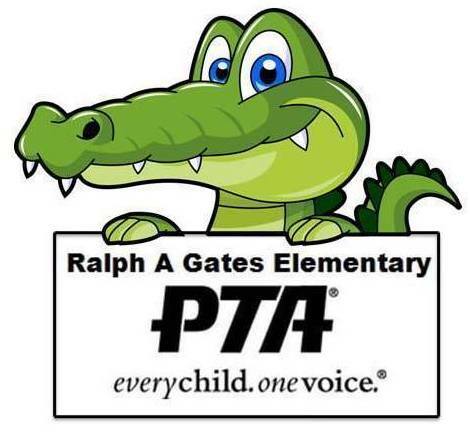 Go to our Gates PTA Pintrest page here.